Since the framework is developed on module structure, its functionality can be extended with the help of plugins. 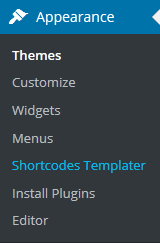 Cherry Shortcode Template Editor plugin allows to create unique shortcodes templates. If you did not create any shortcode templates, you will see the welcome message only. First, choose the necessary shortcode and click Add new. Now you can create a new template based on the default one. It will get a name with an ordinal prefix and shortcode name [Shortcode Name][N], e.g. post_1. The shortcode template name will be displayed in the list and in the visual editor title. The template will be physically stored in the \wp-content\uploads\templates\shortcodes\shortcodes_name\*-N.tmpl directory. You can rename, copy and delete the template. While copying, Duplicate the template. It will get a name with an ordinal prefix (by analogy with the new template) but with the structure of the current template instead of the default template. Shortcode template editor allows you to create your own markup, display necessary Macros and set up display parameters in some of them. For example, clicking the Content button, you will generate the %%CONTENT%% macro which will display post content on the website. Cherry Shortcodes plugin helps you work with shortcodes (pre-set shortcodes that are used by default). Moreover, modified and new shortcodes are described in the Shortcodes section. Cherry Services plugin adds a new post type called "services." Services posts have additional settings to form attractive blocks for service description. You can work with service posts the same way you would work with regular posts. Service posts can be arranged into categories for better navigation. After the plugin is installed and activated, you will see the Service tab in the WordPress dashboard where you can work with services posts and categories. Cherry Charts plugin is used to create various charts and diagrams. The plugin's rich collection of diagram and chart types enhanced by advanced settings allows you to create a chart that fully fits your requirements. After the plugin is installed and activated, you will see the Charts tab in the WordPress dashboard where you can work with diagrams and charts. Click "Charts > Add New Chart" to create a new diagram. Enter the title and required settings on the chart page. Four types of diagrams are available: progress bar, pie, doughnut, bar. You can choose the one you need by clicking "Chart type". Diagram settings depend on the diagram type you have chosen. Let's take a closer look at each one. progress bar type (radial, horizontal, vertical). You can enter diagram data in this section. Show chart title - display diagram title. Show chart label - display diagram label. Show chart legend - display diagram legend. Bar diagram settings match with pie and doughnut settings (check description above). The only difference is the diagram data table. In this section you can set up the color formatting of the diagram. You can change the elements, background colors. opacity, thickness and color of lines. After you are done with the chart settings, you can embed it into the post or page content using a shortcode. Cherry Data Manager plugin is used to export/import website data. Export is used to transfer website data from one server to another and to create backups. Click "Tools > Cherry Export" and then click "Export Content" to use the export feature. As a result, you will get an archive with website data. Click Tools > Cherry Import. If server settings are correct, you will see the loading screen. 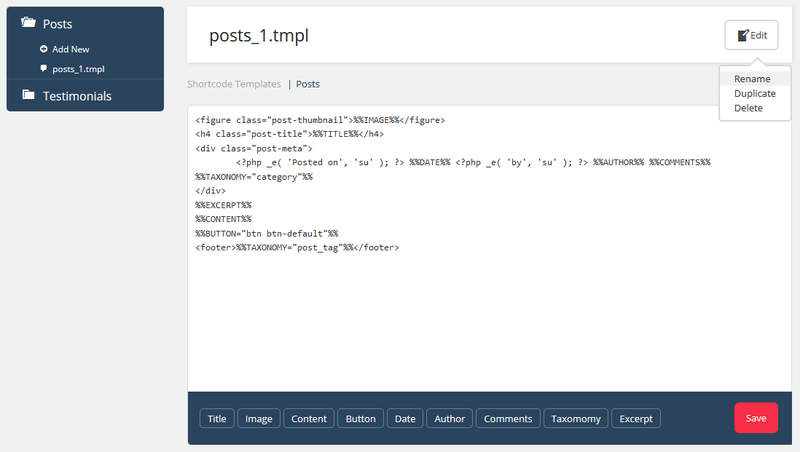 Open the "theme/sample_data" template folder and upload the file into WordPress. You need to choose all files in the "theme/sample_data" folder (hot keys CTRL+A or Command+A), drag and drop them into the field. Upload the files located in the sample_data folder including .JSON and .XML. Once files are uploaded, click "Continue Install." ATTENTION: .JSON and .XML files are required for sample data installation. The "Continue Install" button will be active only after you upload .XML and .JSON files. "Continue Install" button will start the process of sample data installation. Installation will take some time (depending on the server settings). Please wait untill it is done. Congratulations! You have successfully installed Cherry WordPress theme and now you can check how it looks. Cherry Team plugin adds a new post type called " Team ." "Team" posts have some additional settings for your team members posts formatting. You can work with team posts in the same way as you would work with the regular posts. Team posts can be arranged into the categories for better navigation. 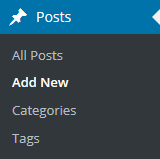 After the plugin is installed and activated, you will see the "Team tab" in the WordPress dashboard where you can work with posts and categories. Socials - employee social accounts. Cherry Testimonials plugin adds a new posts type called " Testimonials ." "Testimonials" posts type has additional settings for formatting your website/organization/products testimonials. You can work with testimonials posts in the same way as you would work with regular posts. After the plugin is installed and activated, you will see the Testimonials tab in the WordPress dashboard where you can work with testimonials posts. URL - testimonial author website URL. Cherry Portfolio plugin adds a new post type called " Portfolio ." "Portfolio" posts have additional settings for portfolio formatting. You can work with portfolio posts in the same way as you would work with the regular ones. Portfolio posts can be arranged into categories for better navigation. After the plugin is installed and activated, you will see the "Portfolio tab" in the WordPress dashboard where you can work with portfolio posts and categories. Zoom image - enable/disable image zooming. Cherry Mega Menu plugin allows you to create multi-column menu drop-downs. It also lets you display necessary information in the main menu. If the WPML plugin is used, you should turn off mega menu caching. The Mega Menu plugin has a caching option: Cherry Options -> Optimization -> Mega menu caching enabled -> Off. After the plugin is installed and activated, you can navigate to "Appearance > Menus" in the WordPress dashboard. Hover over the menu tab and click the "Mega Menu" tab. Click "Enable Mega Menu for current item" to activate the Mega Menu for a specific menu item. You can place necessary widgets in the drop down block of the current menu item in the Mega Menu section. Each widget can have its own width and height. Here you can find menu item settings. Hide submenu on mobile - enable/disable megamenu on mobile devices. It allows you to add an icon to each menu item. In this section you can choose an icon for the menu item, choose arrow style, hide menu text or arrow. Cherry Simple Slider plugin adds a new post type called "Slides." "Slides" posts have additional settings for slides formatting. You can work with slides posts in the same way as you would work with regular posts. Slides posts can be arranged into categories (sliders) for better navigation. After the plugin is installed and activated, you will see the Slides List tab in the WordPress dashboard where you can work with slides posts and categories. Content wrapper - wrap content into additional block. Cherry Sidebar Manager plugin is used to create custom sidebars with specific sets of widgets. To add a new sidebar, go to the Appearance > Widgets section and click Create a new sidebar. Input Sidebar name and Sidebar description. Then click Creating Sidebars. You can arrange your widgets set in your sidebar by adding new ones, changing the order of widgets and removing unused ones. Widgets page - widgets editing screen. Cherry Social plugin is used to add sharing and follow lists on your website. Facebook URL - Facebook page URL. Twitter - Twitter page URL. Google+ URL - Google+ page URL. Pinterest URL - Pinterest page URL. Linkedin URL - Linkedin page URL. StumbleUpon - StumbleUpon page URL. Reddit - Reddit page URL. You can set up the list of social accounts and edit the URL, icon and title. 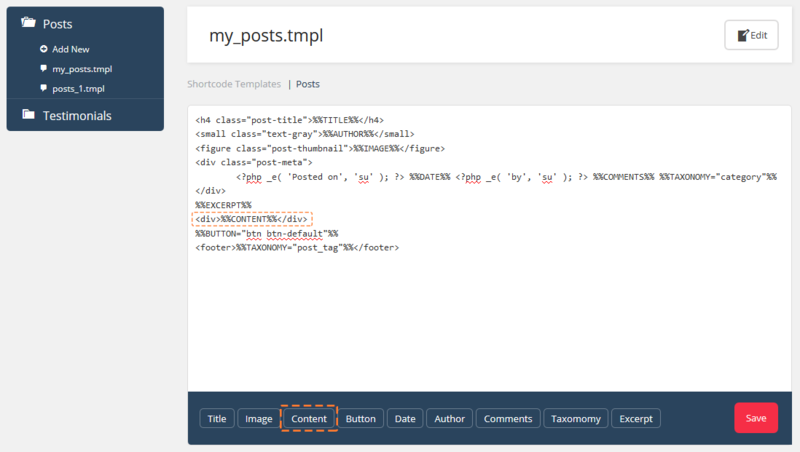 Cherry Grid plugin adds "Grid" shortcode and additional layout options to Posts and Pages screens. Cherry Chat plugin adds live chat application to your WordPress administration panel. Using this live chat you can get 24/7 support on working with Cherry Framework and Cherry plugins. Live Chat is available in the right bottom corner of the WordPress admin panel. If you purchased Cherry Framework theme, you can use your order ID to contact technical support team and get an immediate support. If you do not have an order ID, you can also contact live chat support by entering your name and email. Clicking "Start Chat" button, you'll be connected to the first available operator. Rate Operator - when your chat session is done, you can rate chat operator. If there are any connection issues while you are working in the chat, you'll see such notification window. Click "Reconnect" to restart chat or "End chat" to close chat window. Live Chat can be disabled in the same way as any other WordPress plugin in administration panel > Plugins section. Locate "Cherry Live Chat" plugin and click "Deactivate" button.